Make sure not to use any oil on your locks especially inside the cylinder or on the keys. A fast drying non-fat or graphite dry lube oil has to be used within cylinders. 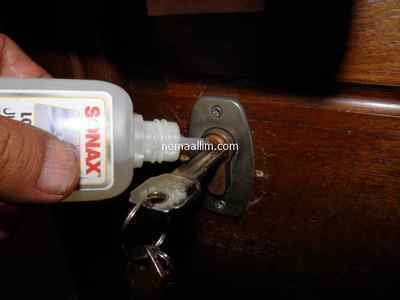 Machine oil or penetrating oil can be used on the latch bolt and deadbolt, see below. 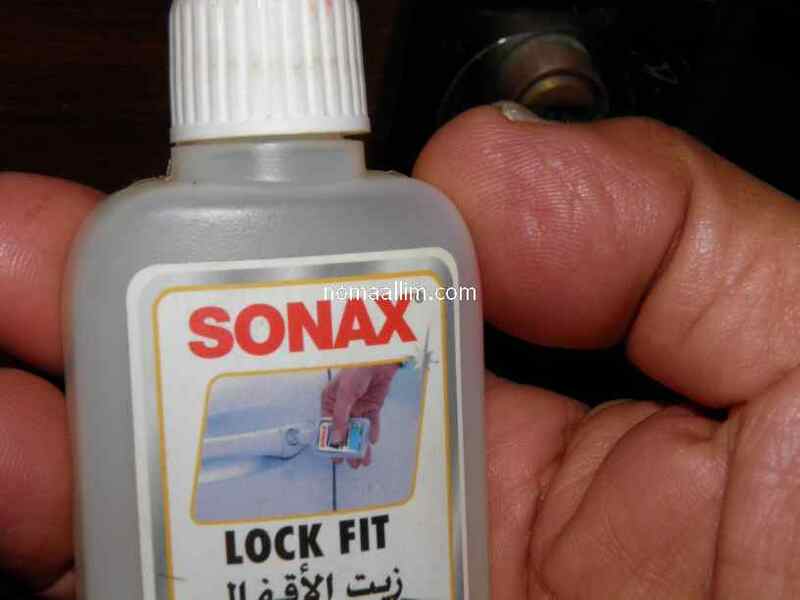 Get one of the special lock lubricants that are described above or shown at the bottom of this page and put a few drops directly in the lock cylinder. 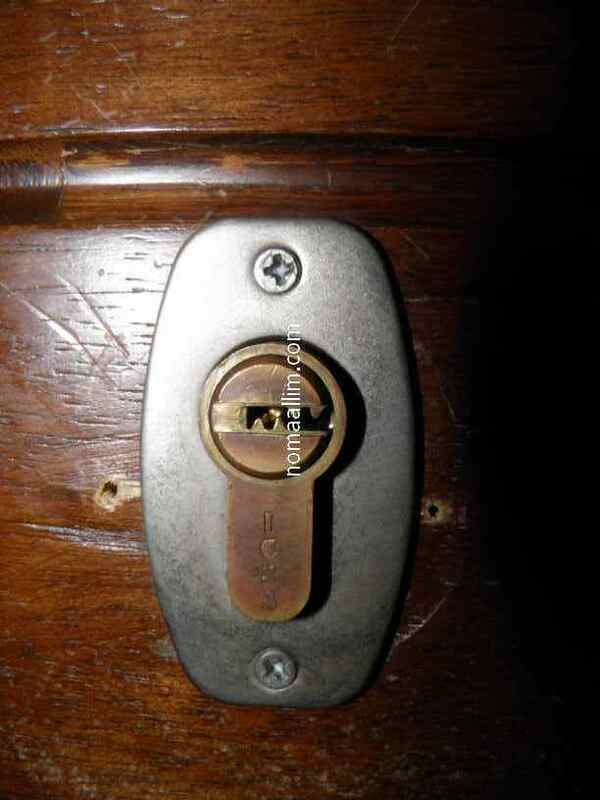 Immediately introduce the key in the cylinder. Pull / push the key and rotate the cylinder to spread the oil inside the lock. Put one drop between the cylinder and the fixed part of the lock and rotate again the cylinder. 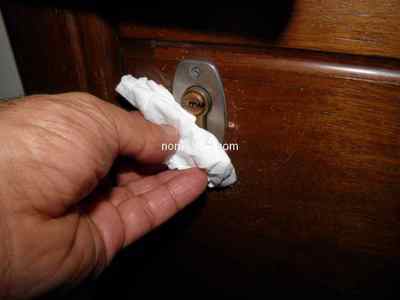 Keep a paper tissue in hand for removing excess oil. You can use regular "machine oil" or penetrating oil on the lock bolts. Don't put too much oil, only one drop or two then turn your key in a manner to move the latch in and out and the deadbolt as well for spreading the oil. Always keep a tissue paper in hand for removing excess oil.